You are here: HomenextTopicsnextPrimitive Methodist HistorynextA special class ticket? I have read about class tickets that special centenary ones were issued, but this one seems to be preparing for the centenary as the date at the top is 1907-10 and it was issued to Madge Forrester in 1908. 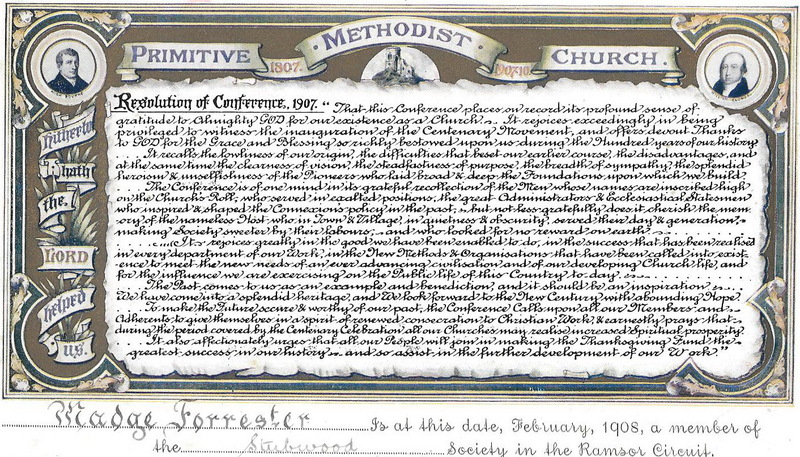 It is also much more ‘wordy’ than the other class tickets being the resolution of Conference of 1907. 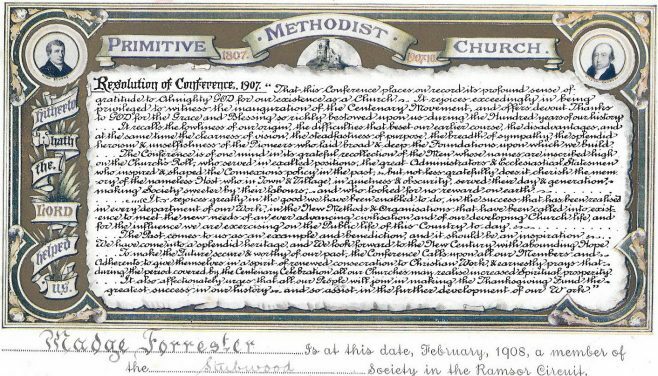 It also seems more specific than the other examples, as it mentions the Ramsor circuit rather than just stating that Madge is a Primitive Methodist Church member. I’d be interested to know if the Thanksgiving Fund mentioned in the last paragraph was a great success! Madge Forrester was my great aunt and daughter of Samuel Forrester of Denstone who was a lay preacher on the Ramsor circuit.